Last week we looked at Lee Jae-sung, one of South Korea’s new up and coming talents who may be coming to Europe in the near future. However let’s have a look at a South Korean who has made it in Europe at English club Tottenham, the player we are talking about is, of course, Son Heung-min. Son with 63 goals in his career at club level in Germany and England and also a not bad record at international level with 20 goals for South Korea in 61 games averaging a goal almost every three games, has attracted much interest throughout his career. Now playing at Tottenham, the team that finished 2nd last season in England. Son managed 19 goals in 2017 this helped him gain the award as AFC Asian International Player of the Year 2017. He beat Huddersfield's Aaron Mooy and Borussia Dortmund's Shinji Kagawa to win the award for the second time in his career. Son started his career with Hamburger SV in Germany in 2008 when he signed as a youth player. Before this as a youth he played for FC Seoul in the South Korean capital. Something very unusual for a South Korean he dropped out of school to move to Germany at 16. This also means he has yet to serve compulsory military service in his home country and matter yet to be resolved (no recent stories on this could be found past September 2016). Back to football his first goal at senior level coming in the 2009-10 season for Hamburger SV II, Hamburger SV reserve side. Following an impressive pre-season Son went on to sign a professional contract on his 18th Birthday in 2010, after this it was looking like he had made the right decision leaving his home for Germany. Even more evidence of this being the correct move was that after 5 successful seasons in Germany, including the last two seasons away from Hamburg at Bayer Leverkusen where he had signed for €10 million. He attracted interest from some of the biggest clubs and in 2015 Tottenham Hotspur of England took him away from Germany for a fee reported to be in the region of £22 million (€30 million) on a 5-year contract. This transfer also confirmed Son as the most expensive Asian Footballer. Son's first season in England was not hugely successful but not a failure as he managed 8 goals in 42 games. In his second season however he managed a much better return with 21 goals from 47. This is even better when you remember he was playing next to Harry Kane who was taking all the headlines. 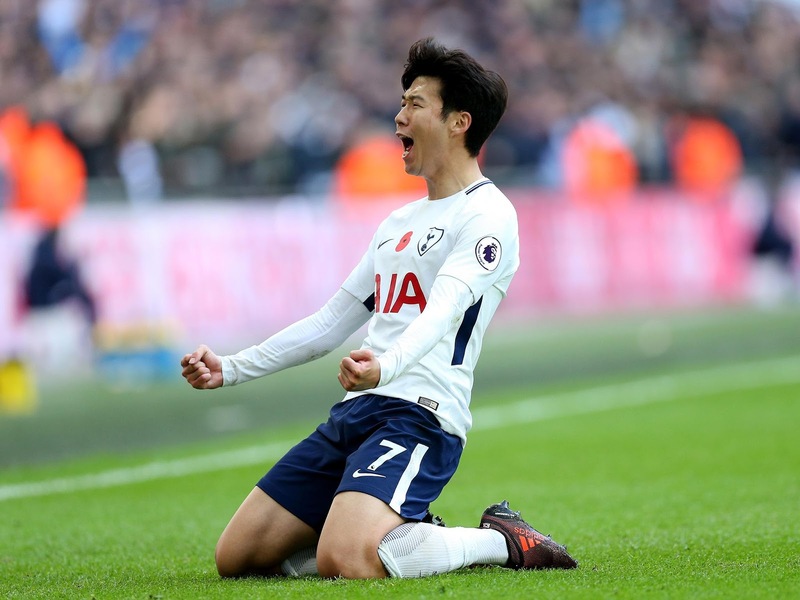 It is thought in 2016 that Son was close to a move away from Spurs after him and his team failed to pip Leicester to the Primer League title. Am unsure if it was Pochettino’s inability to get back the money spent on Son or if he changed his mind but Son stayed with the club. This season he has 5 goals already to his name, it seems that Pochettino is happy he kept hold of him. Now starting 8 of Spurs 15 games this season in the league it would seem the future is very bright for Son at Spurs. There will be a matter of military service, and Spurs will be hoping this does not get in the way of a player twice named Premier League player of the month. Leading on away from Spurs with a good record for his country Son sure will be excited to help his country in Russia and with a mixed group of Germany, Sweden and Mexico he will try his best to make his mark on the world international stage replicating his club form.